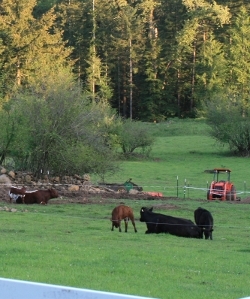 At Basket Flat Ranch, we currently raise Red Angus, Black Angus, as well as some animals (Pinzgauer and Hereford) that we cross breed with our Red or Black Angus. 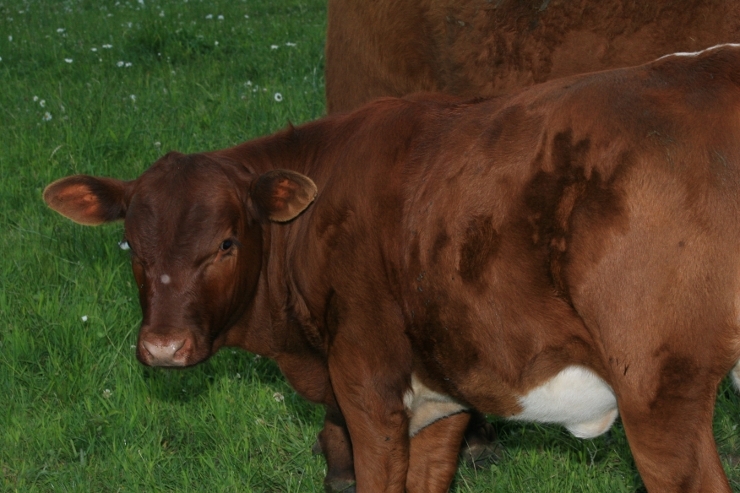 All of our beef have been specifically bred for their tenderness. Most of our animals are 75% to 100% Angus and every animal we sell is at least 50% Angus. The combination of several breeds, with the dominant breed being Angus, has resulted in consistently high quality beef. Our beef is naturally tender, and leaner, but also has a healthy, natural amount of fat that the animals put on by eating a high quality, nutritious, "salad bar" diet of several grasses, and clover.